These statements highlight not only the power our smartphones and tablets contain, but also their potential for use outside of our personal day-to-day routine. 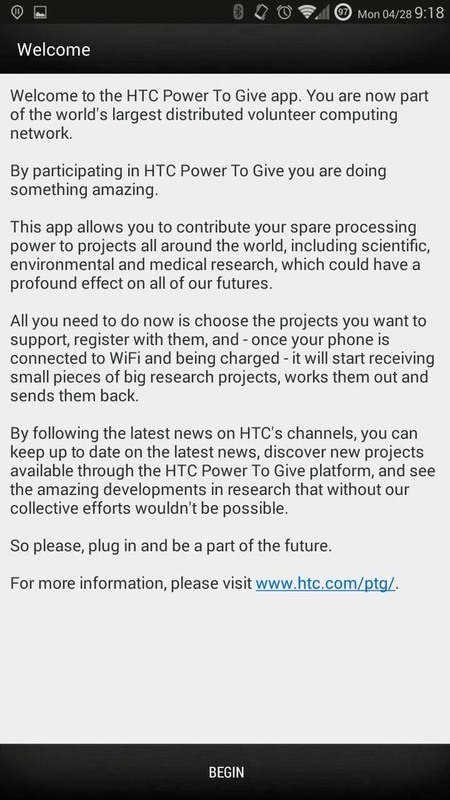 Introduced earlier this year, HTC's Power to Give campaign enables any of us with Android devices (running Android 4.4 or higher) to use our device's processing power to compute some of the data necessary to solve the world's deepest challenges. The concept is simple: download the HTC Power to Give app, select a project, plug your device in at night while you sleep, and let the app utilize your unused processing power to compute data. Because the app will only actively utilize your device under these conditions—and while the screen is off—it prevents you from waking up to a dead battery or using any of your carrier's allocated data. Open the app, select a project, and sign up. Once you've registered with your selected project, simply plug your device in and turn your screen off to begin harvesting your processing power to the project. It's that simple. You'll even see a notification letting you know that when your device's screen is on, the Power to Give app is suspended. 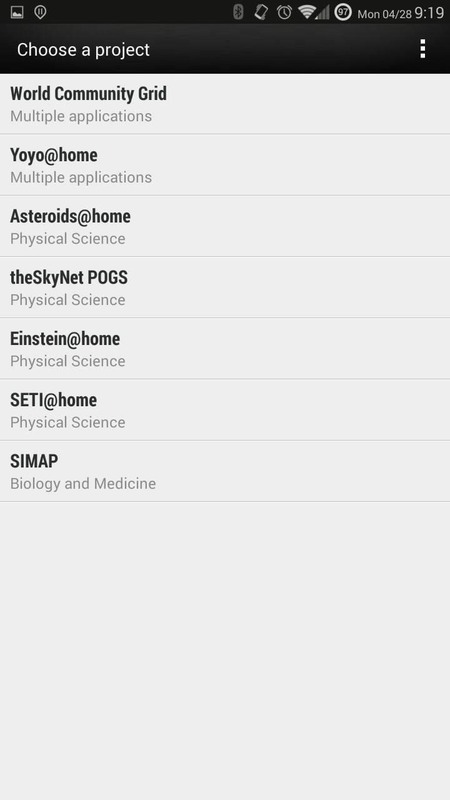 Give the app a shot, and put your device to some actual good while you're not using it. And if you picked up a new Galaxy S5 or HTC One, Power to Give is a great way to utilize your old device. Remember, with enough devices contributing, we can not only surpass the power of the world's supercomputers, but use that power for projects that otherwise wouldn't have the access. Wow this sounds amazing! Almost too good to be true. Are there any drawbacks to using this? Security issues? No security issues, and because the app only runs when your device is plugged in and on WiFi, it has no adverse effects on battery life. I wonder if it can be cracked to be used as just that.